With the United States and others backing opposition leader Juan Guaido as the country’s legitimate president over dictator Nicolas Maduro, it could take longer for Russia and China to get their money back. And in the case of some loans, they may not get anything back at all. Venezuela owes around $100 billion to its external creditors, including China and Russia. Some reports put the figure higher. Those agreements gave Russia and China relatively cheap oil — and a foothold in the backyard of the United States — and they supplied Venezuela with much-needed cash. But Venezuela’s oil production has plummeted. It is a third of what it was when Hugo Chavez was elected in 1998, which is especially troubling given that oil revenue accounts for about 98 percent of its hard currency earnings. Venezuela still owes Beijing $20 billion, and Russia’s state-backed oil company Rosneft another $2.3 billion, excluding interest. 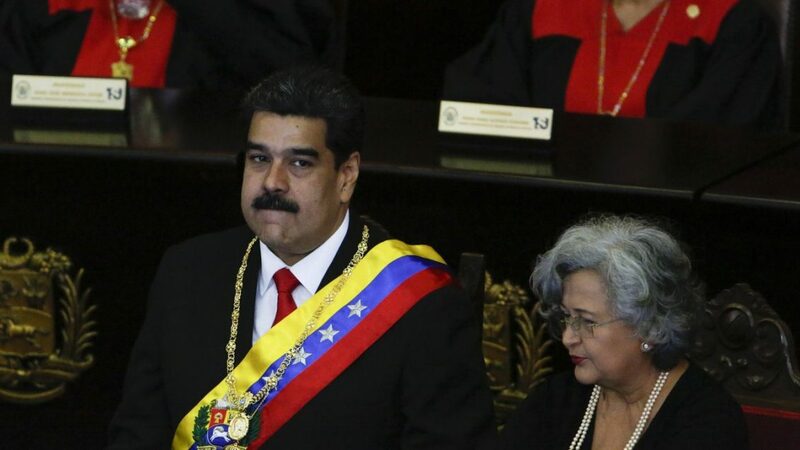 However, the question remains whether those debts are valid if Maduro is thrown out and replaced by Guaido. Guaido has said all lawful agreements approved by Venezuela’s National Assembly will be honored, a statement widely seen as an olive branch to China. Thus far, Beijing is still publicly backing Maduro. “They’re worried the opposition will come in and not necessarily want to honor their contracts — or find loopholes,” said Russ Dallen, managing partner of investment bank Caracas Capital Markets. Guaido has incentive to make good on Venezuela’s debts to Beijing. China is Venezuela’s biggest market. RBC’s Croft pointed out that Guaido doesn’t want to get on the bad side of the country that drives global oil demand. Failing to repay China would also erode Guaido’s credibility. A desire to avoid antagonizing the United States during an already complex, high-stakes trade war may encourage China to consider a change of allegiance from Maduro to Guaido, according to Dallen. Though Guaido is signaling he intends to honor Venezuela’s obligations to China, he has made no such overtures to Russia. Moscow’s latest deals with Venezuela are something they don’t want to risk losing, either. “Not only are they getting oil, but they’ve also gained access to pretty good acreage in Venezuela,” said Croft. Moscow is considered the linchpin to Maduro’s survival. Russia has come in with cash at the eleventh hour a few times to help Venezuela avoid default. If the country gave another financial lifeline or even continued to buy gold at a discounted rate, the situation could become a protracted crisis. The question is, do they believe a couple billion more dollars can tide the country over? If not to preserve Maduro, to preserve some type of regime that remains loosely or closely aligned with Moscow,” said Croft. If Guaido wrests control of the government, there won’t be widespread default, but nobody is going to get paid immediately. The International Monetary Fund will likely take the lead in what would be one of the largest and most complicated sovereign debt restructurings ever. Venezuela will essentially have to be rebuilt completely. The good news for Venezuela is that it sits on 300 billion barrels of oil, as well as underground reserves of gold, iron ore and other resources. “What they have is a liquidity crisis, but not a solvency crisis. Everyone should be pretty sure they are going to get paid back,” said Dallen.